Do you know what’s one wonderful thing about history? At any moment in time society is caught up in countless evolving trends that will be fascinating some day to the historian. While you’re living in them, though, they can be difficult to see. This is not a bad thing. It’s by all of us “enjoying the moment” that these stories get written in the first place. Now and then, though, we see something that reminds us that we can take a step back and look at some bigger picture. We typically refer to this as a “sign of the times.” In browsing there some recent tech news I caught up with some of the newest information about the latest product from Amazon, the Kindle Fire. In reading the early reviews of this device, I realized that this is a great example of this phenomenon. The Kindle Fire is the coalescence of many modern web trends all shoved into a single new device. Here’s a rundown of this new toy’s features, and why it’s a good reflection of the World Wide Web, circa 2011. It’s a tablet. Stop there. When was the last time there was a new desktop PC that was released to such fanfare that it took the tech world by storm? I honestly can’t remember myself. More get released than we can keep track of, and they all draw collective shrugs, even as we continue to gobble them up. When a new portable device of almost any kind is released now, though, it’s like watching a old-style carnival where crowds rush back and forth in swarms between new attractions. Then what follows from it is a scrambling of analysis and IT reshuffling, as the rules for how things were done before get altered by the specifications of this new interface. RELATED: Geek Ethicist: Does Technology Make Lazy Parents? Gone, it’s starting to seem, are the days of web browsers simply existing to allow users of all platforms to browse all web sites with the greatest of ease. Former love affairs like Netscape and then Mozilla existed because of programmers who looked at the browsers that came before them and saw how they could make them better. 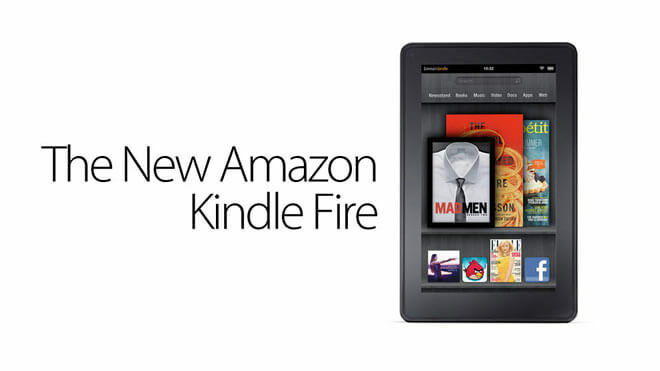 Such is not the case with Amazon Silk, the browser built into the Kindle Fire’s Android-based operating system. Programmed into it are features specifically designed to work with Amazon, or its Kindle, or both. In fact, at least as of right now, Silk exists only on the Kindle Fire. However, some commentators have found reason to believe that this might be a test run. If the Silk gets a strong enough reception, it’s reasonable to believe that Amazon might use this as a launching pad to get this browser into other more popular operating systems. It’s important to recognize what this means, if so. It means that a retailer is using the technology of a new device to push a new browser to devices outside of it: a new browser that, in turn, was created to drive more customers their way. So you might someday be on FaceBook, mention a movie, and get a free trial download suggested to you by Silk on your PC because of this device designed to get people to buy more books. To try to put this into perspective, this would be like Walmart, instead of making you want to shop there more, designing cars that are specifically engineered to make driving to their store easier, and then that technology making it into cars that had nothing to do with Walmart in the first place. Some might argue that Microsoft already pulled this trick with their Internet Explorer. It’s not a bad example but Amazon being a non-IT-based (i.e. “old economy”) company at its core, this analogy doesn’t match up that well. There’s more. Silk is designed to be what Amazon calls a “split browser.” What they mean by this is that some of the browser’s more processor-intensive functions get farmed out to Amazon’s Elastic Cloud Compute (EC2). Amazon’s EC2 isn’t entirely new, with 5 years of development behind it, and Amazon has already integrated this technology into other facets of their business. Putting it directly into their new browser, however, represents one of the most invisible forms of cloud computing yet. This may seem little, but it quietly signifies that we’ve crossed a threshold in how we handle even the most basic computing tasks. The immediate reason for the development is that, by sending out computing tasks that take some muscle, your device can cut down on the amount of processor time per request, and thus extend its battery life. Here is the larger point. As cloud technology integrates itself into our computing world on continually smaller computational task levels, computing devices and their associated programming languages are going to have to increasingly take into account the possibility that the requests they are serving are not local. This signifies a whole lot of seismic information technology changes, not the least of which is the potential for a whole new generation of security issues. This might be why one user described the Silk as being about as “secure as a bathroom stall without a door”. Still, that probably won’t stop those lining up to buy it given the Fire’s aggressively low price of $199 per unit. This blows away a lot of the related devices that consumers might choose this over. There is something important to note in this low price, though: it’s lower than the manufacturing cost by about $50. Amazon is outright expecting to lose money on each Fire sold. In turn, they’re expecting to gain that much more from the extra sales of digital media that this new tablet will push. RELATED: Is There Any Money To Be Made Hosting Mobile Games? It shouldn’t take an economic genius to divine all sorts of fascinating conclusions from this bold marketing play. Here’s the most obvious one we get out of it. This is the strongest proof yet that the move towards making digitally downloadable media a viable long-term economic model, which was the point of the original Kindle in the first place, has proven successful. Amazon couldn’t have made such a daring move as this without a room full of number crunchers displaying charts that showed just how much they were sure they’d recoup. This makes the release of both the original Kindle and the Fire a major event in the piracy/intellectual property wars, itself another important modern battlefield. A sign … but of what? Before we betray too much excitement here, let’s be clear and state that we can’t tell just yet where this is all going. Especially with the huge price gamble that Amazon has taken with this device, it’s not impossible that, before all is said and done, the Kindle Fire will go the way of New Coke. Amidst the excitement for it are a lot of valid concerns, and we’ll have to see how they play out. The Kindle Fire is a fascinating new development to watch, largely because it highlights where much of our web and E-commerce development is going. The great thing about signposts, though, is that they only tell you where you’re going. They don’t tell you what it’s going to look like when you get there. iTech Review 2013: 3D Printing, Mobile Wars, Flexing Phones, etc.